God has a calendar that clearly defines His plan of redemption. That calendar is prophetically revealed in the Feasts of the Lord – the Spring Feasts and the Fall Feasts (Leviticus 23). Why is this important and what does it mean for believers? God precisely fulfilled every aspect of the Spring Feasts at His First Coming. He will likewise fulfill every aspect of the Fall Feasts at His Second Coming, on the very days of the Feasts! The Feasts are rehearsals for God’s plan of redemption through Israel and will determine when key events will happen during the 70th Week of Daniel. This is significant and has remarkable ramifications for the Church. Most writers on prophecy share a pre-determined perspective of what the future should look like. 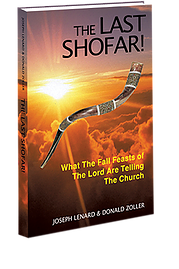 The authors of The Last Shofar! take a different – and they believe – broader and more biblical look at the future, based on ancient Hebrew writings of the Old Testament, other rabbinical-source documents, and a fresh look at New Testament writings. The Last Shofar! integrates the Fall Feasts with the chronology of end-time prophesied events, including the Day of the Lord, with the appearing of the Son of Man in the clouds to rapture His Church, and accompanied by cosmic signs and the blast of the shofar, at the Feast of Trumpets. Indeed, ancient Hebrew writings reveal when the Messiah will come again – at the Feast of Trumpets. God stated that, “As it was in the days of Noah, so it will be at the coming of the Son of Man,” thereby defining the 110-day timeframe between the Rapture and His physical return on Yom Kippur. Scripture is teaching believers within the Church to prepare for the coming days. Although believers will escape God’s wrath, we will undergo a part of the Great Tribulation, including great persecution. We need to be prepared. The Last Shofar! is a unique, practical guide to help us get ready for the end times. The evidence in the book (320 pages) is presented in a compelling case-study approach, and the reader is asked to be the ‘judge and jury’ to evaluate the information presented. 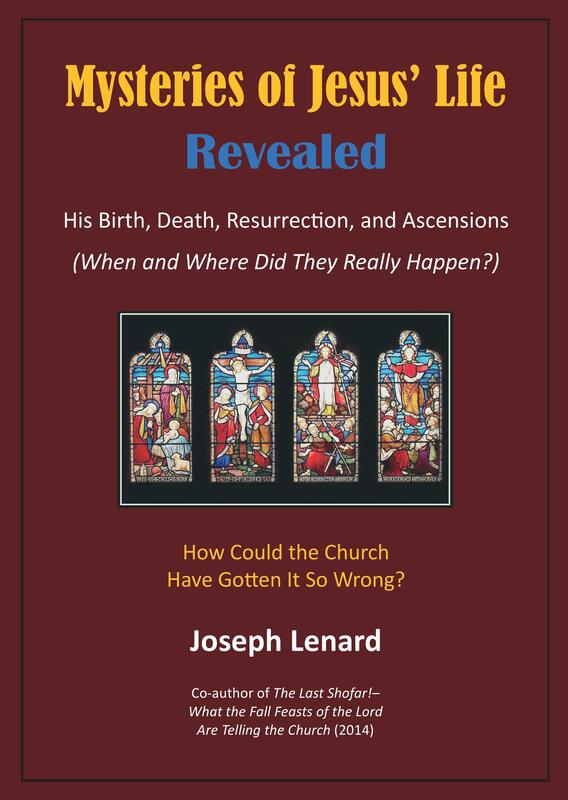 The case and related subjects are presented in nine chapters, an epilogue, and three appendices, all thoroughly researched and cited; chapter-based study questions help the reader and small groups evaluate and discuss critical themes. Apple’s iBooks, in three formats: eBook, softcover and hardcover. 8. The Clock is Ticking – What Time Is It? For a complete preview of The Last Shofar!, please see below. Please note: The Last Shofar! is available in a Kindle version on Amazon for a very nominal price. Once purchased, it can be read via Kindle or via the free downloadable Amazon Kindle app for PC/Mac, which allows the book to be read on a local PC or Mac.